Great macros bought when on offer,..taste is fine but wouldn't choose this again. This bar is not as advertised. It is some chewy grit with absolutely zero chocolate feel. The previous type were covered in chocolate and much softer consistency. I will shop else where for protein bars or make my own. I bought a sample bar because the picture was of the older version (the one I liked) but alas not to be. Take actual pictures if the bars without their wrappers on, so people can see what they're buying. Just got these bars today, the raspberry ones, and they taste good, not too sweet but not bland either. However, the bar is very hard, and can feel like chewing gum, so even after 1 bar I feel like my jaw muscles got a workout. Would recommend overall. 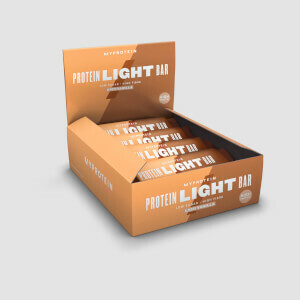 I love these bars, they are low in calorie and high in protein, they are my favourite post workout snack, cookies and cream is my favourite, tastes like such a treat. 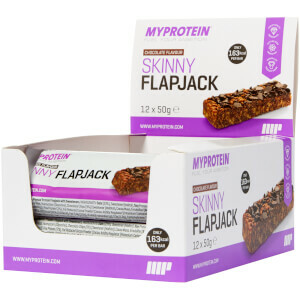 They are chewy as others have said, as opposed to crunchy, the mixture is very smooth and there's no strong protein flavour or after taste. Definitely recommend! A little more chewy than other bars but I don't mind that as the Fat & Carb count is lower than most. These bars are really reasonably priced and are really delicious! I choose these over a chocolate bar now, with barely any sugar its a no brainer. Will be buying again. Absolutely love this one! One of the best protein bars I've ever had. Every other bar would just taste either too heavy (if high in protein) or just way too sweet (if carbs included). However this one balances in sweetness and fullness, keeps me covered nutrition wise with all the necessary macros, tastes fantastic (with some notes of coconut which I love) and all that while low in calories. That's why it makes it the perfect post workout snack. For anyone who wants to enjoy them selves while watching their weight, I would definitely encourage you to give it a shot. 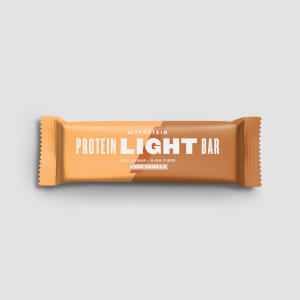 The skinny protein bar, especially in chocolate and cookie dough flavour, is a healthy and nutritious mid-afternoon snack, or just after gym because of its high protein content. Would highly recommend this purchase!